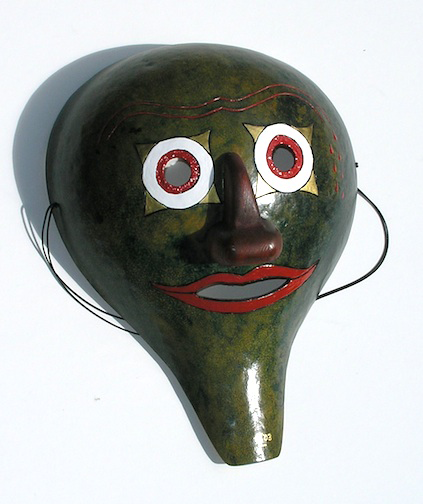 Second Mask in a series of three fascinating masks created by lifelong friend of the Stilley family Ken Layne. Like the other Gourd Masks in the series, this one is ready for you now. See those white eyes and lipsticky smile? Isn't it calling out YOUR name. 100% of the proceeds for this item go straight to help defray Tucker's healthcare costs.